Freshen the look of a bedroom without committing to the time and effort to make an entire quilt. Create a beautiful bed runner! 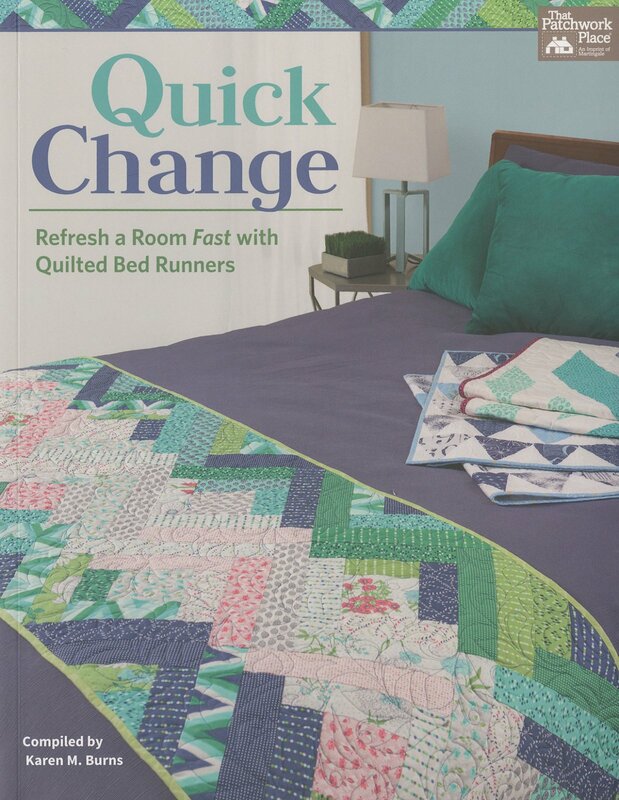 From top designers, this collection features satisfying projects for every quilter, from beginner to advanced. 13 fabulous bed runners; many can be accomplished in a single day. Patterns by Heather Andrus, Audrie Bidwell, Brigitte Heitland, Megan Jimenez, Kimberly Jolly, Amanda Leins, Doug Leko, Stephanie Prescott, Heidi Pridemore, and Jocelyn Ueng.